We are excited to announce the addition of Expected Delivery Dates to our Order Acknowledgements. This field will replace the existing ship date field. 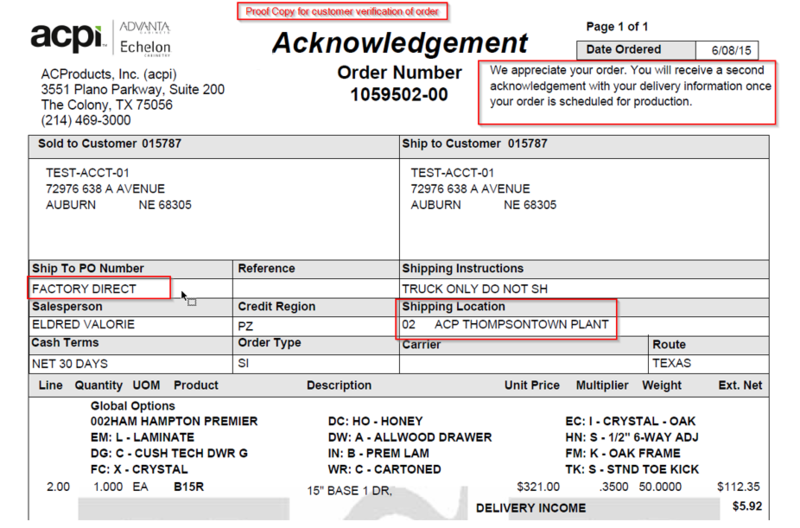 The date now shown on all Acknowledgements is the expected delivery date from the shipping location on the acknowledgement. We have added in all expected in transit times to get as close as we can to actual delivery dates. In the example below, the delivery date of 7-1 is the date that location 63 (Harrisburg Warehouse) should deliver. We will still contact you to schedule the actual delivery. 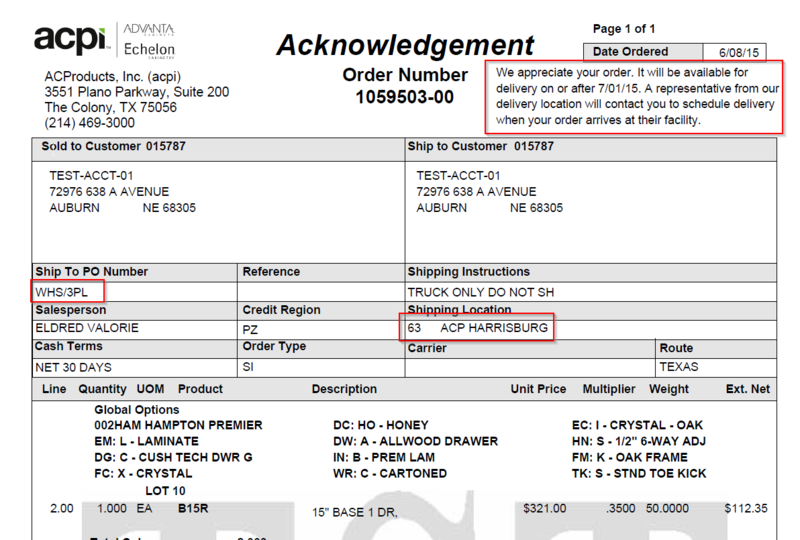 Factory direct orders will still get a proof acknowledgement with no delivery date on it and another acknowledgement with a delivery date once the order is scheduled for production. The final (2nd) Acknowledgment for factory direct orders will be sent with the delivery date when the order is scheduled. Customers who submit their orders through eStore can access their estimated delivery date information through the Order Status Tab. We continually strive to make our customers’ experience with us as simple and straightforward as possible, from order to delivery. Please alert your Customer Service Representative if you are seeing incorrect delivery dates so we can make adjustments to our system and ensure you are receiving correct and timely information on your order.